Keeping houseplants around the home and office can have all sorts of benefits, but pet owners need to make sure they're not also buying something that could make their cats and dogs extremely ill — or worse. Why are some plants toxic to our animal companions? Sometimes it's because their bodies can't handle substances that we can, like chocolate, but often the problem is that our pets are more likely to start chewing on houseplants than we are. Some of the worst offenders are also among the most commonly sold, including lilies, tulips, chrysanthemums, baby's breath, and aloe vera, to name a few. Not every plant is off the list, though. While mother-in-law's tongue should be avoided, its two companions, areca palm and money plants, are safe in any pet-owner's home. Those two will go a long way toward giving you more breathable air. 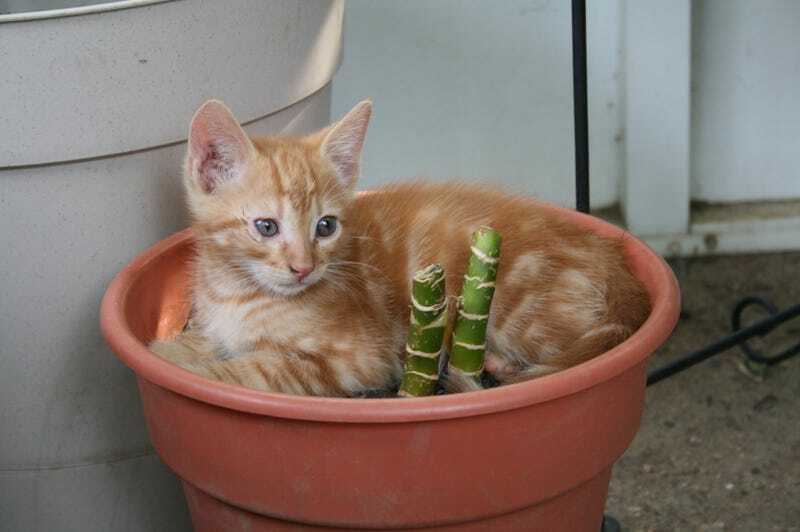 Some pet stores even sell "cat grass," foliage expressly designed to be nibbled on by felines. While this isn't a dietary requirement in any sense, it's probably not doing any harm. There's no one reason why our carnivorous friends are occasionally wont to munch at the salad bar, but it's easier to change our habits than theirs. The ASPCA has an expansive database of plants that are toxic not only to cats and dogs, but horses, as well. Make sure to check it before your next trip to the garden center!